I’m heading to Houston today for Quilt Market, where I’ll be doing a presentation to shop owners and national retailers about my brand new book, which is set to arrive in just a few weeks! I have spent a major chunk of 2011 and the first half of 2012 working on this puppy, and I am thrilled beyond all measure to finally hold it in my hands. I mean, I haven’t yet–held it in my hands–but I will tomorrow. Which is awesome. 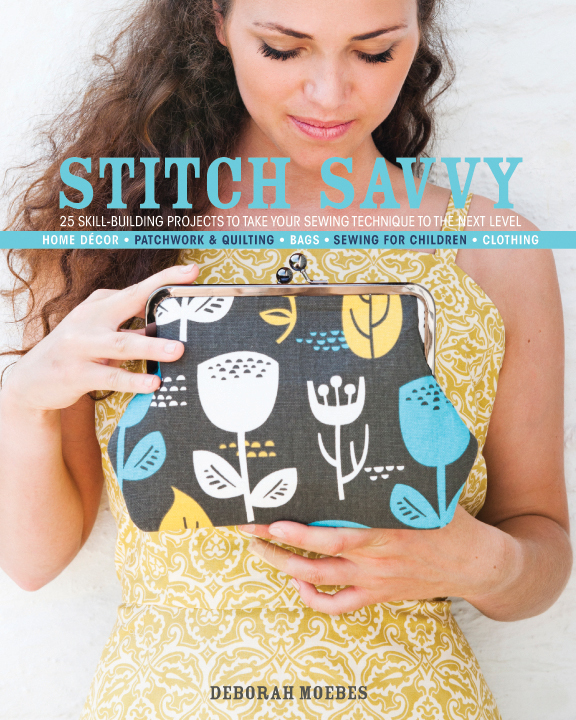 It’s called Stitch Savvy, and is a follow-up to Stitch by Stitch, an intermediate sewing book to help you build skills and move beyond the beginner basics as you grow your sewing. I’m focusing my presentation on the structure of the book, which is pretty cool, if I do say so myself. You can choose your own route through the book, and each of the 25 projects leads you to other projects in the book with similar skills or techniques included. I love the way the whole book can function to really challenge you to build your skills and reach beyond your sewing niche. 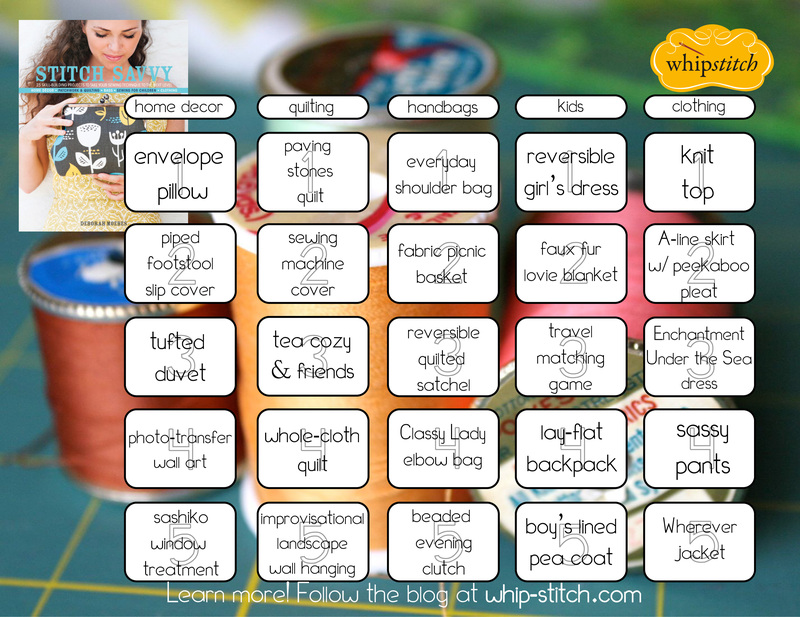 You can already pre-order Stitch Savvy on Amazon and Barnes & Noble! At the same time that I am anxiously awaiting the release of my new book, I also have a brand-new Craftsy class out! This was another giant chunk of 2012 to prep and plan, but it was such fun to do, and I really enjoy shooting video and teaching online. The class is Design and Sew an A-Line Skirt, and walks you through the basics of patternmaking while you build the perfect go-to skirt pattern! It’s hard to believe that so much has come to fruit all at the same time–these are such big projects, and it’s way beyond hard for me to keep my mouth shut about the process of working on these things and not share them with you! It’s exciting, and I love to show little glimpses here and there to keep me motivated and focused as I work. The past 18 months have been a pile of work, and I’m pretty pooped, but I’m looking forward to this weekend in Houston to see friends and get inspired and talk shop with folks who love the same things I do. I hope you’ll love the book and the Craftsy class, and find some inspiration there for yourself, too! Congrats on the new book and class… have fun at QM!! Ooh… the cover looks great! Might have to add this to my Christmas list! Your book looks fantastic – adding it to my wishlist. I like how it is organized. And that framed clutch on the front is adorable! Have a great time in Houston! The cover is so beautiful, Deborah. I’m eager to see the book! Cannot wait to get my hands on that book! I’m so happy for you Deborah. They both look fabulous! Looks wonderful! Congratulations! 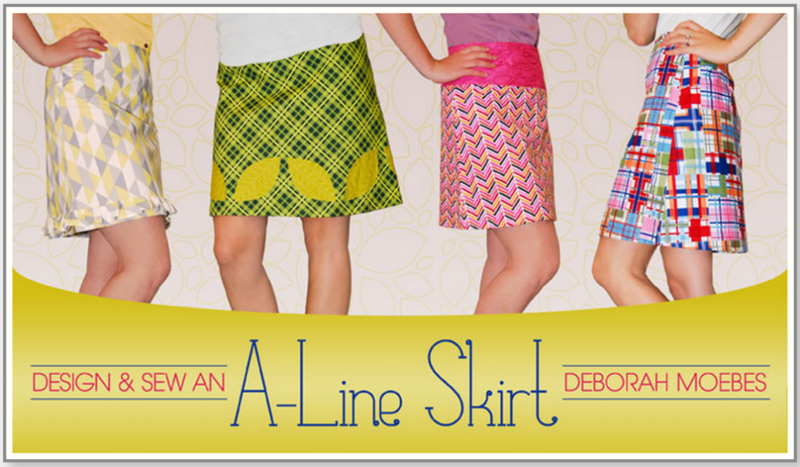 I will def check out the A-line skirt, too! Can’t stop thinking about them these days. Nice to see you and talk a bit at QM. Stay well – enjoy the new book love that’ll be coming your way! Oh, thank you! It was so great to have the chance to visit with you in Houston. Hopefully in Portland we can all have more time to hang out–it’s always my favorite part of Market! Hope your trip home was lovely, will look forward to seeing you in a few months! I just purchased your class on Craftsy. I can’t wait to get started. It looks wonderful. Thank you. Oh, I’m so glad, and I hope you love it! Be sure to add photos–I can’t wait to see what you’ll make. Congratulations (I’m a bit behind on my Reader)! I love the look of the dress on the cover, is that pattern included in the book?